I am glad all students are back filling my life with extremely varied experiences – one thing I have often said to student teachers is you will never be bored! For new people this is what I call my twice yearly student concerts. This year it will be at Croasdaile auditorium, as always, on Sunday December 2 from 3-5 pm. I will send parking instructions closer to the day. Fall is a very short semester (Spring semester is about 22 weeks and Fall semester about 14 – half as long). This means students should already be planning their performance at the Soiree. I have many more ukulele students this year so the first half will be for ukulele and guitar players and the second half for pianists and singers. I will do some combined ukulele items and I will have a practice at my place before hand or at some place with a bit more room (any offers?)! 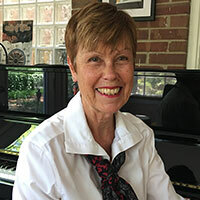 I am a member of the Durham Music Teachers Association (DMTA) and each year the association holds several Playathons to raise money for scholarships for families who cannot otherwise afford music lessons. The next Playathon is October 20, Saturday at Northgate Mall and my section is from 2-2:30 pm. I have several students who have committed to playing – you only need to play one piece and ukuleles are also invited, singers too. A $5 donation to the DMTA Scholarship Fund is requested for each participating student. You can bring your $5 in cash on the day or give it to me during lessons. If you write a check please make it payable to the DMTA. My adult students are invited to a work-in-progress (the Flourishing Music Salon!) at my house Friday October 19, from 7-9 pm. Adult beverages and nibbles will be supplied. Your “work” can be unpolished and even partial and mistakes and false starts to be expected. Next year I will be hosting two DMTA events for students. The first will be a Classical Voice Master Class on Sunday February 3 from 3:30 – 5 pm in Croasdaile Chapel and it will be followed by a small reception. The clinician is to be announced soon. Teachers can initially submit one student but might be able to submit more depending on other teachers’ submissions. The second will be an afternoon for adult students to share their works-in-progress with colleagues who study with DMTA teachers. It will be held on Saturday March 6 from 3:30 – 5 pm in Croasdaile Chapel. I will have more information later on but please put the date in your diaries. October is almost upon us, season of Halloween and all that goes with that festival, scary pieces and songs, pumpkins, and more. When you are getting ready to pay October fees, please factor in whether your student will be coming to lessons the evening of Wednesday October 31. I usually stop at 6 that day so i can hand out candy to the neighborhood. Younger students will probably be too excited to have a music lesson. What about older ones? I can also reschedule Halloween lessons as I have some flexibility after 5 on Fridays. Thanks for learning music with Flourishing Muse and watch this space because I have a new event coming – for composers! Get your creative hats on!